Miscellaneous category of 3D printing files. 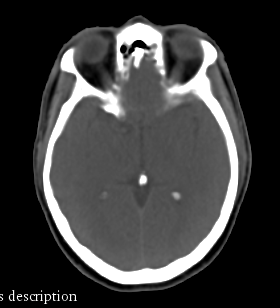 This is an anonymized CT scan DICOM dataset to be used for teaching on how to create a 3D printable models. 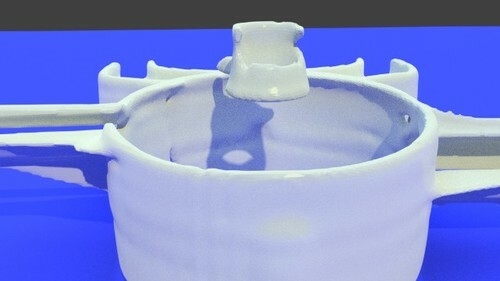 This file accompanies the tutorial "How to Create a Hollow Shell from a Medical STL Model using MeshMixer." Download the file to follow along with the tutorial. File pack to accompany the tutorial listed above. Download this file pack to follow along with the tutorial. View the full tutorial here. 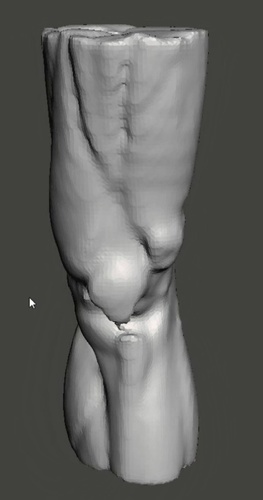 This file pack accompanies the tutorial on Creating 3D printable muscle and skin STL files from medical CT scans. You must register for a free account to download. Diabetes describes a group of metabolic diseases in which a person has high blood sugar, either because insulin production is inadequate, or because the body's cells do not respond properly to insulin, or both. Worldwide there are over 400 million people with diabetes. Diabetes disrupts the vascular system, affecting many areas of the body such as the eyes, kidneys, legs, and feet. Diabetes often leads to peripheral vascular disease that inhibits a person's blood circulation. With this condition, there is a narrowing of the arteries that frequently leads to significantly decreased circulation in the lower part of the legs and the feet. Poor circulation contributes to diabetic foot problems by reducing the amount of oxygen and nutrition supplied to the skin and other tissue, causing injuries to heal poorly. Preventing foot complications is more critical for the diabetic patient because poor circulation impairs the healing process and can lead to ulcers, infection, and other serious foot conditions. There are three STL files available for download and 3D bioprinting. One STL file for bioprinting the foot, one for the soft tissue and the third STL file is for the ischemic foot ulcer. All three files have been zipped to reduce file size. You will need to unzip the files once you have downloaded them.These files are distributed under the Creative Commons license Attribution-NonCommercial-NoDerivs. Please respect the terms of the licensing agreement. 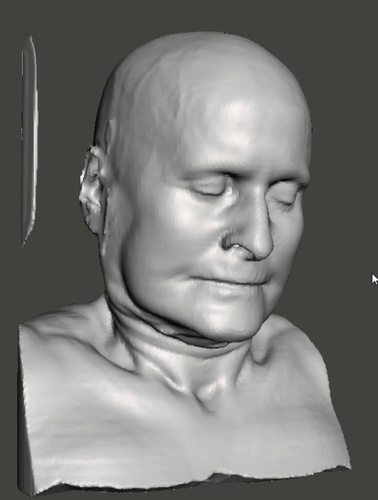 The models are provided for distribution on embodi3D.com with the permission of the creators Dr. Beth Ripley and Dr. Tatiana. These models are part of the Top 10 Killers 3D printable disease library. James Weaver and Ahmed Hosny also contributed to the project. We thank everyone involved for their contributions to embodi3d.com and their advocacy for better health and education through 3D printing. Chest wall tumors are benign or malignant tumors that can interfere with pulmonary function. Primary chest wall tumors account for 5% of all thoracic tumors and 1 to 2% of all primary tumors. Patients with chest wall tumors require chest x-ray, CT, MRI, and sometimes PET–CT to determine the original site and extent of the tumor and whether it is a primary chest wall tumor or a metastasis. Biopsy and histologic evaluation confirm the diagnosis. Prognosis varies by cancer type, cell differentiation, and stage. Sarcomas have been the most well studied, and primary chest wall sarcomas have a reported 5-yr survival of 17%. There are two STL files available for download and 3D bioprinting. One STL file for printing the chest wall mass and the other STL is for bioprinting the ribs. The files have been zipped to save space and speed up downloads. These files are distributed under the Creative Commons license Attribution-NonCommercial-NoDerivs. Please respect the terms of the licensing agreement. Breast cancer is the most commonly diagnosed cancer in women and one in eight women will be diagnosed with breast cancer in her lifetime. Each year it is estimated that over 230,000 women in the United States will be diagnosed with breast cancer and more than 40,000 will die. It is the second leading cause of death from cancer in women (lung cancer is the leading cause). Over 2.9 million breast cancer survivors are alive in the United States today. These STL files allow you to 3D print a whole breast with the mass within the breast and another model of just the mass. There are two STL files available for download and 3D bioprinting. One STL file for printing the breast including the cancerous mass and the other STL is for printing the mass. Both files have been zipped to reduce the file size. You will need to unzip the files once you have downloaded them.These files are distributed under the Creative Commons license Attribution-NonCommercial-NoDerivs. Please respect the terms of the licensing agreement. Both files are verified as watertight (manifold) and 3D printable. This 3D printable lumbar fusion orthopedic hardware was generated from real CT scan data and is thus anatomically accurate as it comes from a real person. It shows 4 levels of transpedicular screws with joining rods. The screws are secured to each lumbar spinal vertebra by drilling into the posterior pedicles. Download is free for registered members. File pack to accompany the tutorial: "3D Printing of Bones from CT Scans: A Tutorial on Quickly Correcting Extensive Mesh Errors using Blender and MeshMixer"
These are Blender and STL files to accompany the tutorial Preparing CT scans for 3D printing. Cleaning and repairing STL file mesh from bones using Blender, an advanced tutorial. Files are in ZIP format. Download and follow along. This is a miscellaneous, editable part that can be printed and consists of purely triagonal and quad faces throughout the file for printing here. This model can be freely derived and using any editing methods for both commercial and non-commercial purposes with standard attribution to source of data. This miscellaneous part is kept simple for easy file editing, part revision and easy printing. The model does however have areas where edges fall-off at 90-degrees so plan print tests accordingly. The advantages would be ability to custom material and dimensions to application. This file would be a simple prototype for any number of permutations of flask elements for use in the biology research setting. 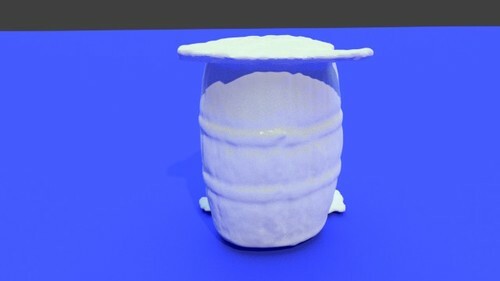 This model was prepared using Blender 2.71.